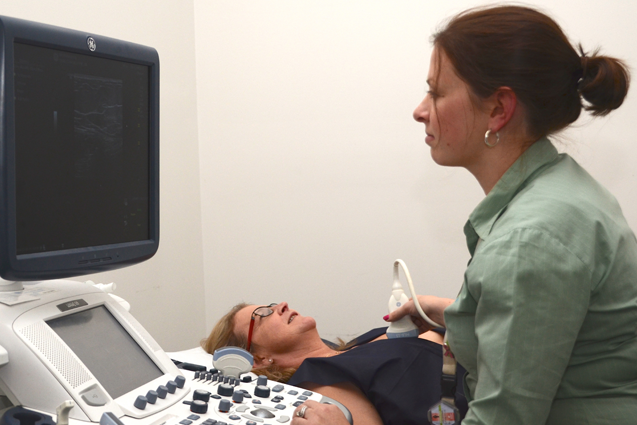 Breast ultrasound is a sensitive test to examine and characterise breast lumps and lumpiness in general. Ultrasound is the first test for young women, pregnant women and women who are breast-feeding. Over age 40 it is often used in combination with mammogram to increase the usefulness of the mammogram.